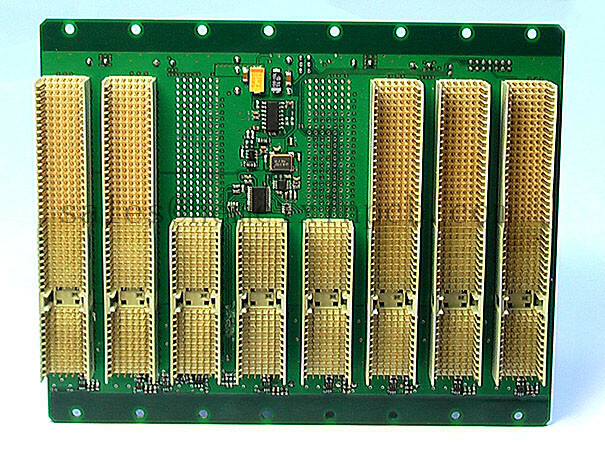 Product categories of Backplane PCB Assembly, we are specialized manufacturers from China, Backplane Circuit Board Assembly, Backplane Assembly suppliers/factory, wholesale high-quality products of Backplanes PCB Assembly R & D and manufacturing, we have the perfect after-sales service and technical support. Look forward to your cooperation! Hemeixin PCB provides quick turn backplane PCB and Backplane PCB Assembly including: UL ready hybrid constructions integrating FR4, low-loss laminates, blind and buried vias, PTH signal integrity optimization, buried capacitance, thick-film resistors, and RoHS-compliant surface finishes.